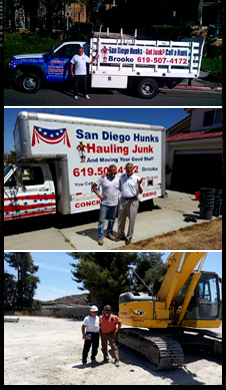 The San Diego Hauling Hunks have been in the Junk Removal, Hauling, Demoliton and Moving Services Business for over 10 years! 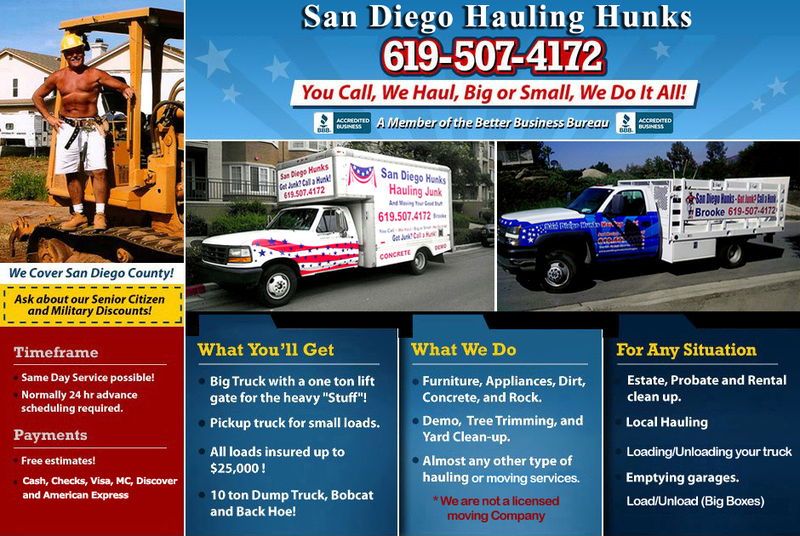 We cover all of San Diego County, from El Cajon to to the shores of La Jolla, North to Escondido down to Chula Vista! We are Proud Members of The San Diego BBB, with an A+ Rating! 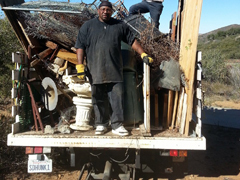 We usually provide two men on most of our trucks, except for the pickup. Our rates are very competitive, with Senior Citizen, Government, Public Servants, Teachers, Fireman, Policemen, and Military Discounts of 5% - 10%! 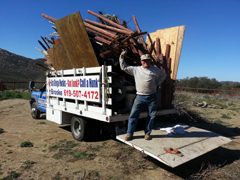 We have Pickups, along with Box and Stake Bed Trucks! 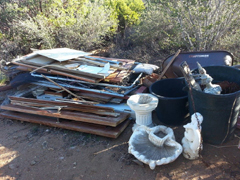 Per our demolition services, we have several affiliates that provide us Dump Trucks, Bob Cats and Excavators. Normally, we schedule your pickup for the next day, or possible the last pickup of the same day, when the request is received by noon? Stop putting it off and give us a call today! * Loading/unloading any storage units. 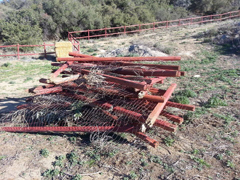 * Loading/unloading your truck or (Connex Container). * Unloading loads and Big Boxes.